The Solomon Valley Highway 24 Heritage Alliance, is a non-profit organization comprised of 24 Kansas communities located within the Solomon Valley and along U.S. Highway 24 from north central to northwest Kansas. and enjoy the route ​your parents and grandparents traveled! 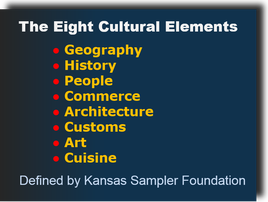 Rediscover Your Heritage, Rediscover Kansas! ► Click Here to View and Learn More! Click Here to View and Learn More! ​Pay online or download hard-copy form.